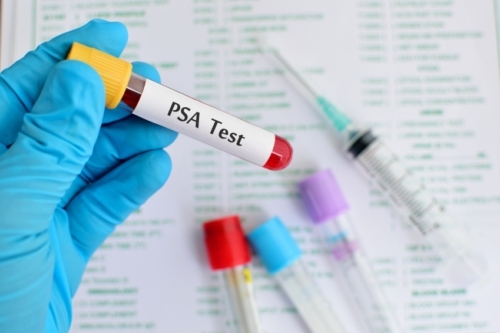 Home » General Health » Prostate Cancer Screening: Should You Get a PSA Test? There’s no question the words prostate cancer screening invoke fear for countless men and their families. But is the prostate-specific antigen (PSA) test really the best way to learn about the condition, or does it just cause an unnecessary stir in a peaceful life? It all depends on whom you ask, but there is research suggesting that the PSA test can cause much more harm than good for many*. Most men hit 50 and they get a PSA test, and some, who might be at a higher risk, go even earlier. And although early detection is essential in the fight against cancer, the PSA test is not always effective in diagnosing it, and can lead to treatment that is both unrequired and unsafe—not to mention it can cause a whole lot of worrying for nothing! In 2012, a group of doctors called the U.S. Preventative Task Force (USPTF) issued a report saying that men should no longer receive the PSA test. According to their research, only 25% to 35% of men who appear to have cancer following a PSA actually do, bringing all kinds of undue worrying and expenses to patients. PSA levels can be altered by an enlarged or enflamed prostate (which doesn’t necessarily indicate the presence of cancer cells), and the treatment can lead to negative side effects such as urinary incontinence, impotence, or both. This happens to 20% to 30% of men who are surgically treated for prostate cancer, even if they don’t need it. Prostate-specific antigen is a protein produced by both cancerous and non-cancerous cells, and most of the time, cancerous prostate cells remain localized and grow very slowly, if it all. Because of this, invasive treatment is not required in most circumstances. For example, unless you’ve been identified as a high-risk candidate, you likely don’t need a PSA test if you’re over 70. And even if you’re between the ages of 40 and 70, you might not need to bother if you’re not experiencing any difficulties with your prostate (such as trouble urinating, pressure, or frequent urination throughout the night), are at high risk, or have a family history of prostate cancer. In fact, some specialists contend that some cases of non-aggressive prostate cancer can progress so slowly that most men diagnosed with it will often die from something else first. Of course, your health is your prerogative and you can do what you want, and there are varying levels of risk among individuals. You can lower your risk of prostate cancer by getting more exercise and eating a healthy diet consisting of fruits, vegetables, whole grains, and lean protein. Prostate cancer is associated with diets low in fiber and high in fatty, processed foods. In fact, you can effectively treat prostate cancer (when it’s detected early) by adopting these lifestyle traits, thus saving you from invasive and potentially dangerous treatments. Goldman, S., “Do You Really Needs a PSA Test?” Men’s Health web site, November 8, 2012; http://www.menshealth.com/health/psa-test-guidelines, last accessed April 5, 2016. “Prostate Cancer Screening: Should You Get a PSA Test?” Mayo Clinic web site, October 22, 2015; http://www.mayoclinic.org/diseases-conditions/prostate-cancer/in-depth/prostate-cancer/art-20048087?pg=1, last accessed April 5, 2016. “Prevention,” Prostate Cancer Foundation web site; http://www.pcf.org/site/c.leJRIROrEpH/b.5802029/k.31EA/Prevention.htm, last accessed April 5, 2016.